KEN YUSZKUS/Staff photo. 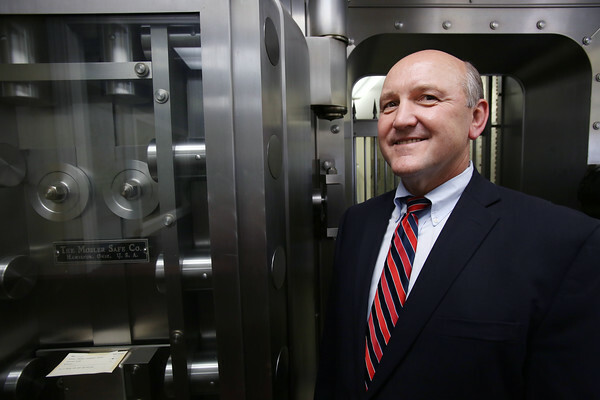 First Ipswich President/CEO Russ Cole stands by the safe in the bank. 9/3/15.